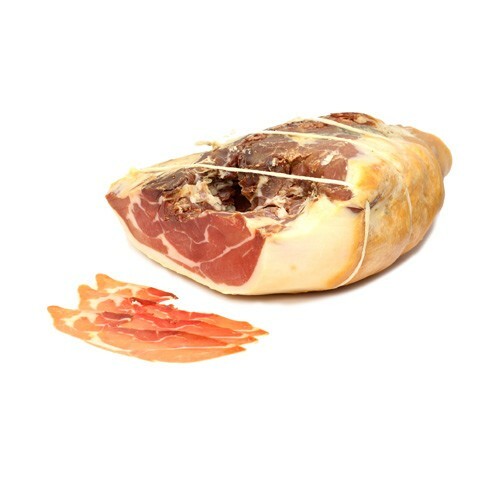 Serrano ham is a Spanish cured ham derived from the Landrace breed of white pigs that feed on grain and acorns. It is a delicious nutritionally rich ham with complex flavors and aromas that are allowed to develop during a slow maturation period lasting at least 36 weeks. Serrano ham is smaller than its Italian cousin and has a firmer, darker flesh. This is an essential ingredient for your Spanish tapas parties.